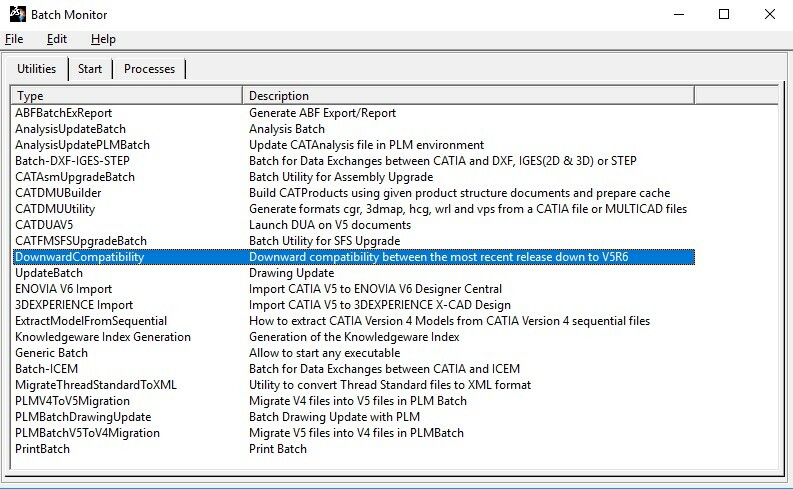 Recently, we received a question from a customer regarding downgrading of Catia files in V5 and 3DExperience, so if you have struggled too, keep on reading. 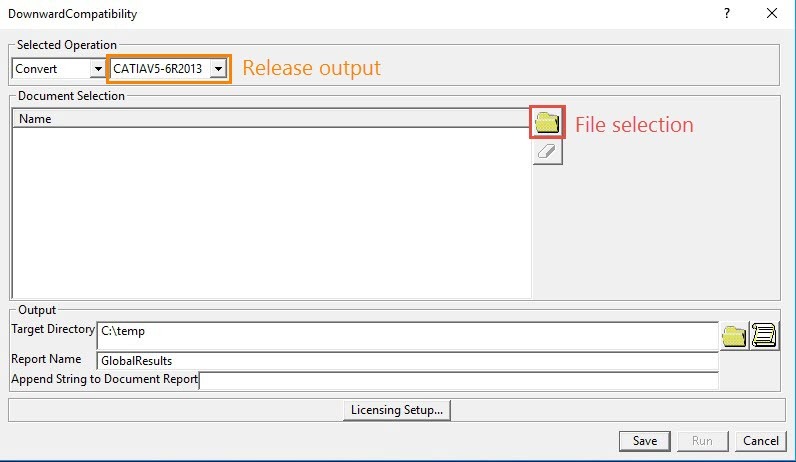 If you need to exchange files with older installations of Catia, or you will do a simple hide of your Business Intelligence, you could export your models to an older Catia format. 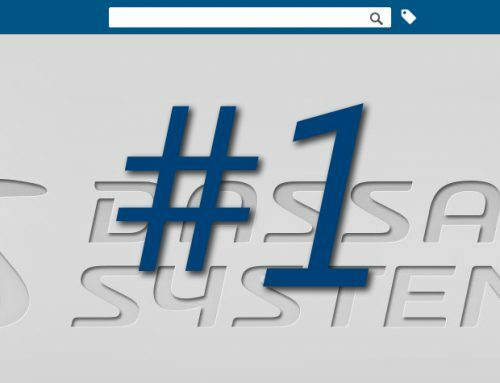 By selecting tools-> utility inside Catia V5, you will have access to all external tools in Catia. If you haven’t used this utility before, it’s worth studying it for a while. 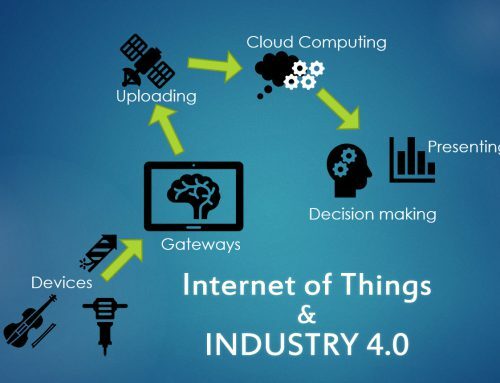 Lots of useful tools are available inside this overview, not all perfectly explained. I will not go through all, but CATDUAV5 is a tool to correct corrupted files and UpdateBatch if you have a large amount of drawings you will update during the night. AnalysisUpdateBatch is for updating FEM analysis, or if you have a remote server to do the calculation on. 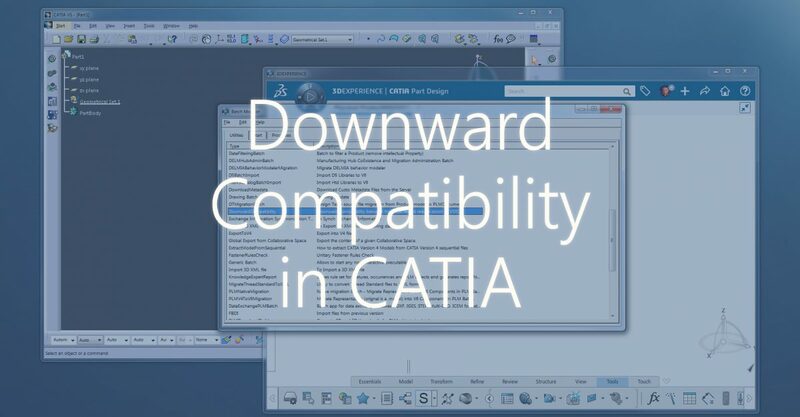 DownwardCompability is converting V5 parts to lower versions of Catia. You can choose which version you will convert to. To start this tool, you simply double click on the line and you will see a new window. In this window, you can select between Member or All. The difference is that you can choose single or multiple files by using Member, or a complete catalog by using All. You can also choose “Select pointed documents” which will process all documents linked into the part. What does it mean? With pointed documents checked, you are converting all documents with reference into selected part. 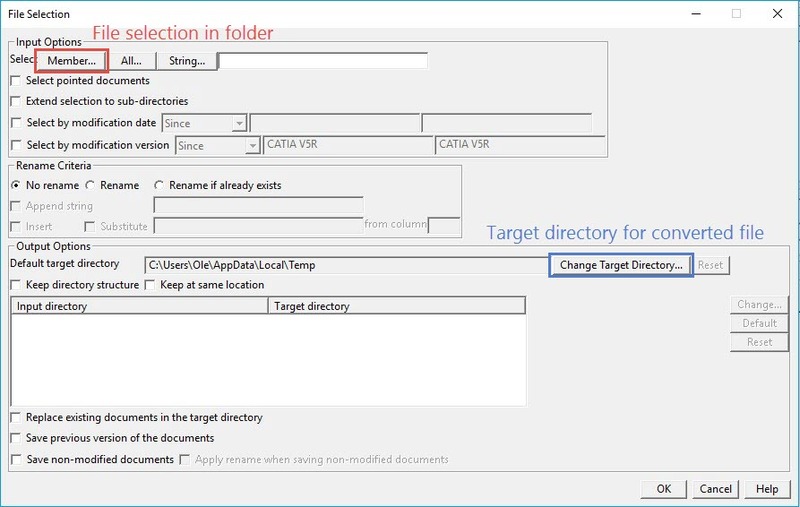 You can change target directory and overwrite if documents already exist. It is advised to change default target directory before you choose converting parts. Then, you will avoid changing target directory for all parts afterwards. This tools has limitation. One of them is that only PartBody will be converted, and it will be converted into a solid body. Only solid elements will be converted. Other is that only CATParts can be converted. 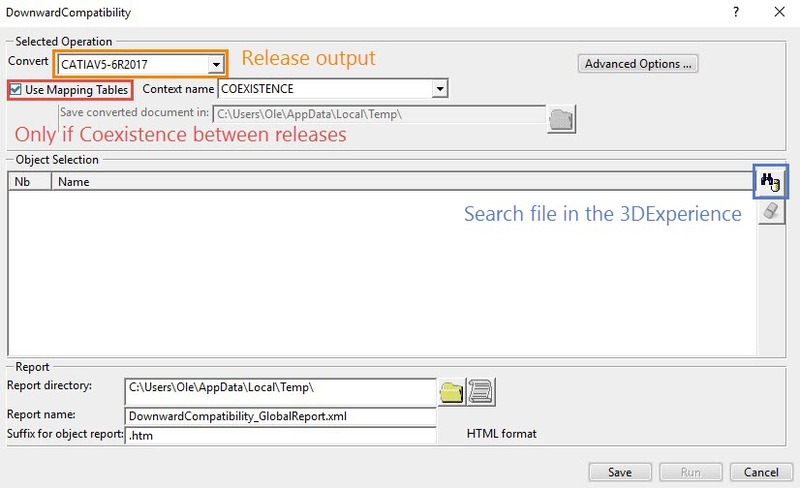 This is valid for V5-6R2015, but for 3DExperience other formats can be converted too. No geometrical elements and no extra/free bodies will be in the new part. Only bodies which has body operators to PartBody. Your result file will contain a solid body, which you can manipulate inside Catia, but the features are not editable. I recommend doing some tests with linked bodies, if you are using it, to ensure you get the expected result. Below, you will see an example with a part containing two bodies and a geometrical set. The two bodies are not assembled together, so only PartBody is transferred. When you move to the 3DExperience platform, you have access to the same tool, but with some slightly different options. 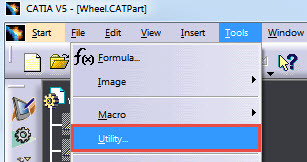 In 3DExperience, you must open a document to have access to tools, then you select utility as in V5. As you can see, here you can use mapping tables to map different attributes together with V5 attributes. 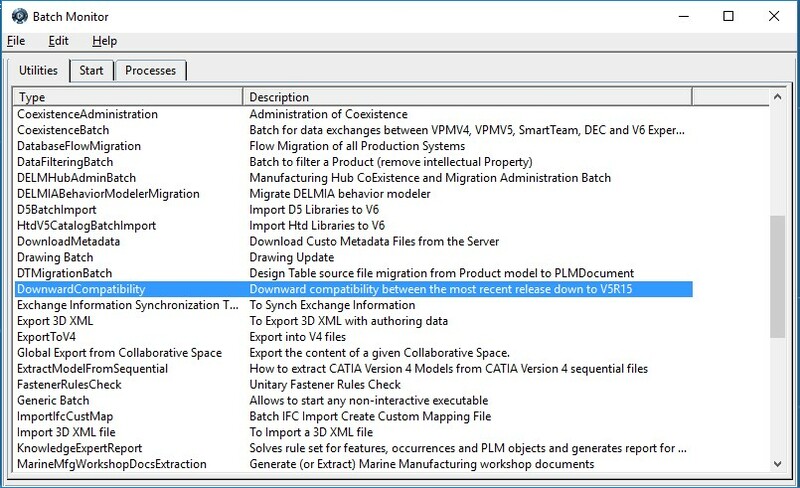 That is used by coexistence between V5 and 3DExperience for the same level of release – for instance V5-6R2017 and 3DX R2017X. So we recommend you to not tick this option if you are not using coexistence. 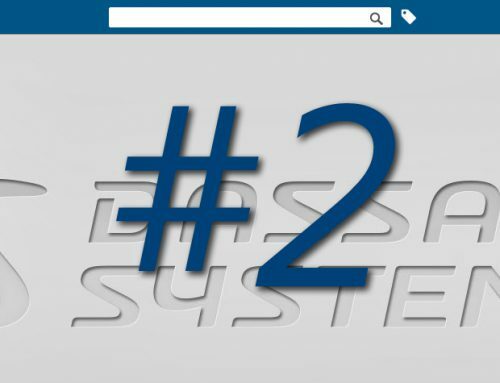 By selecting Advanced tools, you can choose between converting parts “as results” or “as specification”. Unfortunately, “as specification” is only available for CatiaV5-6R2017. CatiaV5-6R2017 is not released yet, when we wrote this article, so we are not able to test the results. 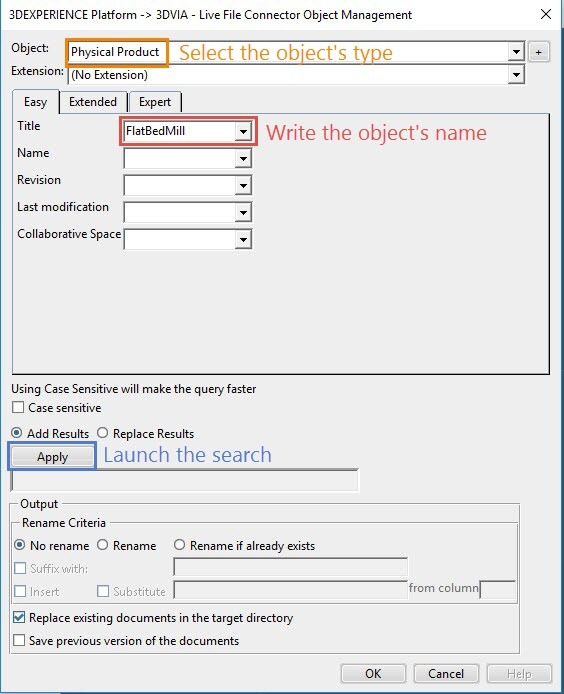 Selecting search symbol, gives you access to a search tool since your data is in a database. Here, you must choose Physical Product in Object. Title must be exact, no wildcard allowed. You can be narrowing your search if you are using extensions. We will not touch this now, but publish a separate article later on regarding how to customize your data model. You can choose to have your search case sensitive or not and you can choose to replace your earlier hits, or add result to the list. Output names can be renamed, overwritten, overwritten if already exists or a string can be inserted or prefixed. When you use insert, you will also be asked “from column”. This let you choose insertion point in the file name, starting with 1 which is the same as a prefix. If you choose e.g. 20, no insertion is done if your title is less than twenty characters. Minor and major revisions are suffixed your filename before the file extension. One of the benefits with downgrading from 3DExperience is that both Drawing, Product and Part are converted. 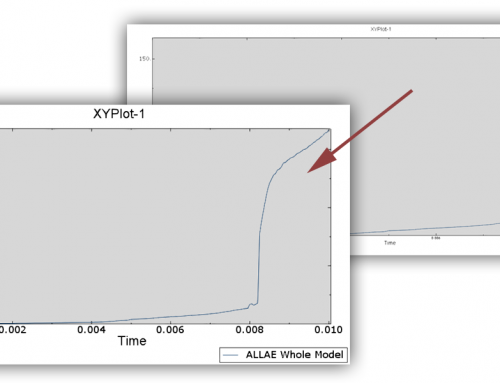 You might benefit by importing models into 3DExperience for downgrading to an earlier version. 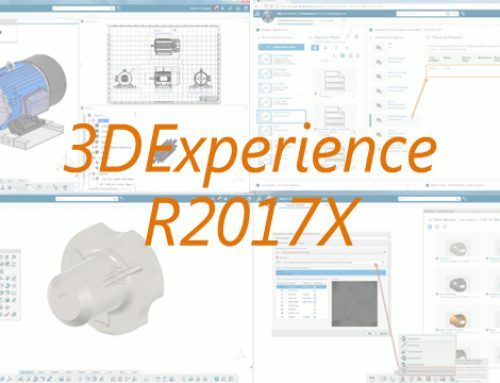 We made this following video on 3DExperience R2017X to show you the correct workflow to reproduce to export a physical product containing a solid, wireframe, surfaces and a drawing. Hope this article gives you added value regarding downgrading of files and encourage you to explore additional tools inside Catia. Feel free to visit our Solutions page and do not hesitate to contact us for more information. We answer your questions! Doesn’t always work. Save as .model open in old V5 version copy and past into V5 and save. Try method above first. Strange thing is I sent .step files out of R25 and one customer couldn’t read into R21. I thought step was not revision dependent. Strange. Is there a way to use the Downward Compatibility tool and retain the feature history tree? If not, wouldn’t it just be better to use STEP files?